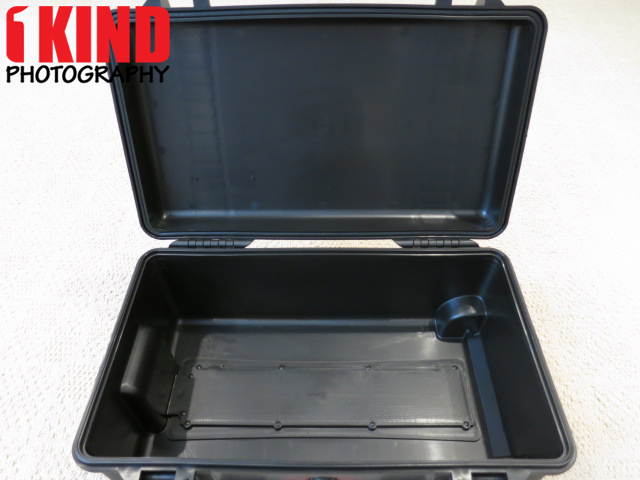 Overview : The Plaber HPRC (High-Performance Resin Cases) HPRC2550W Hard Case is a lightweight, waterproof, unbreakable case. It is also crush, acid and corrosion proof and meets ATA 300 specifications for transit cases. The case also meets IP67, STANAG 4280, DS 81-41 standards for vibration, temperature exposure and impact. 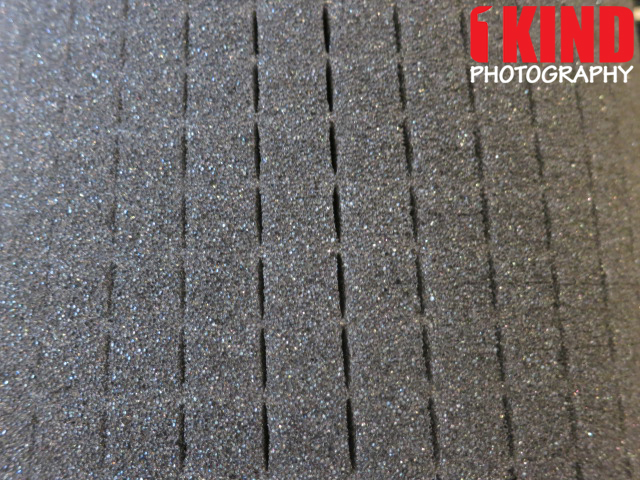 The interior is empty allowing you to use optional foam or pack it in any configuration that meets your needs. The hard-resin shell is virtually unbreakable, and the interior rubber O-rings keep the case air and watertight. 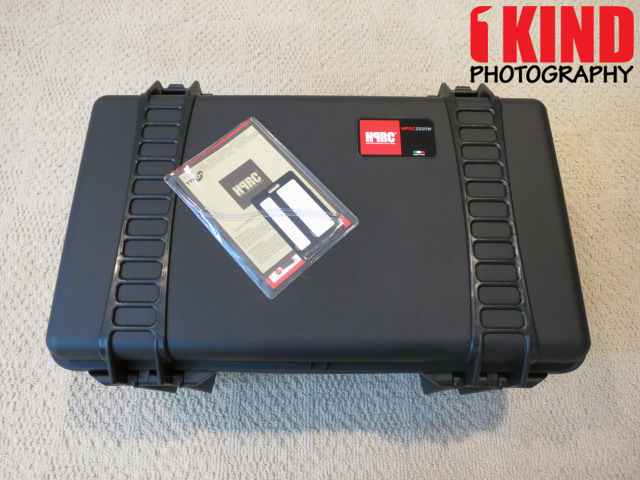 HPRC wheeled cases have a smooth low-profile backing that houses a high-strength aluminum telescoping handle. This efficient design translates into a clean finish on the back side of the case, while the use of aluminum delivers a stiff feel for complete control between the handle and case. The hardware is all stainless steel and bolstered by reinforced corners and hinges. 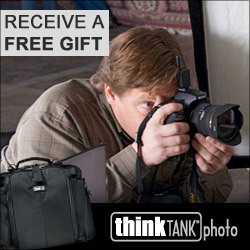 The case also comes with smooth-gliding wheels, soft-grip handle for carrying and an air pressure release valve. 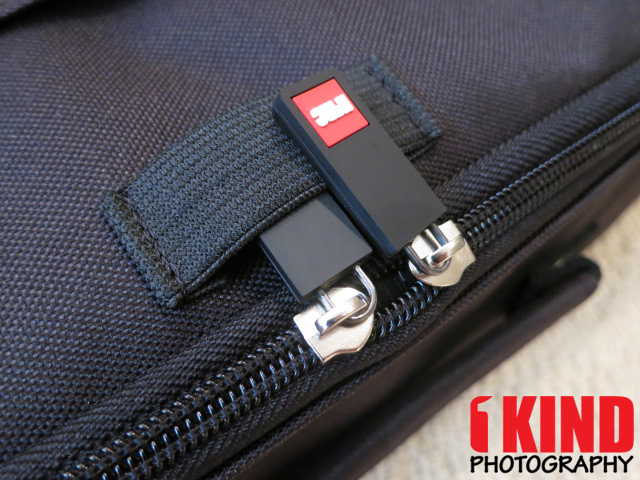 The case is sealed with double hinged latches for a firm closure that will accept an optional TSA (Transportation Security Administration) approved lock. 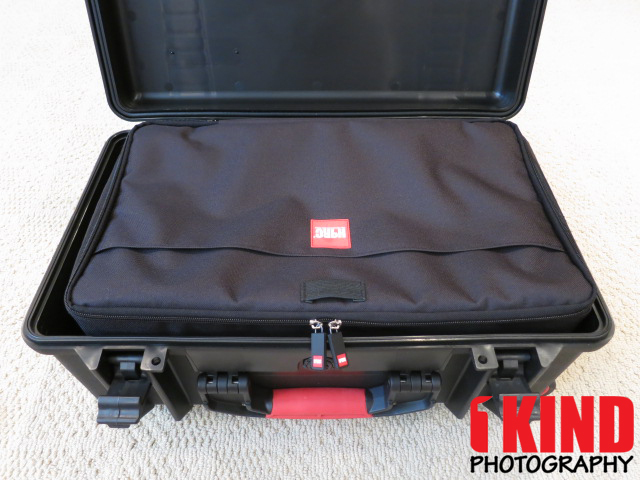 The case can be used to carry anything but is targeted for transporting delicate, expensive and valuable audio, photo or video equipment and accessories. HPRC cases are used by the military, nautical, police and many other factions to protect their gear from dust, dirt, water, impact and corrosion. HPRC backs the case with its lifetime replacement warranty. Quality/Usability : Plaber HPRC may not be as well known as Pelican to some but the style and quality looks to be about the same. Protecting your gear is very important since your gear is an investment and can cost a pretty penny. The HPRC (High-Performance Resin Cases) is made of a hard-resin plastic shell that is corrosion proof, acid, waterproof and virtually unbreakable. Acid proof? I don't know anyone who would have access to acid but I'll take their word for it. I placed the HPRC in my bathtub and there was no signs of leaks or water entering the case. I haven't noticed corrosion either considering majority of the case is made of plastic and who would bring their case into salt water? As for unbreakable, I didn't take a sledge hammer or run it over with a monster truck but I did sit on it and stand on it as it would be something I would do in a real world environment. There was no signs of damage to the case. 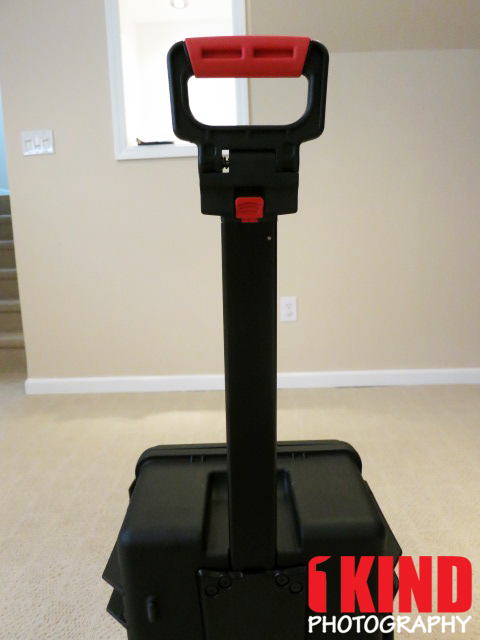 Those curious since it has a handle and wheels, this will fit in the overhead compartment of a plane. The hand grip has a security feature that prevents it from being pulled up. In order to lift the hand grip, you would need to push the spring loaded grip to the right. This will allow you to lift the hand grip up. 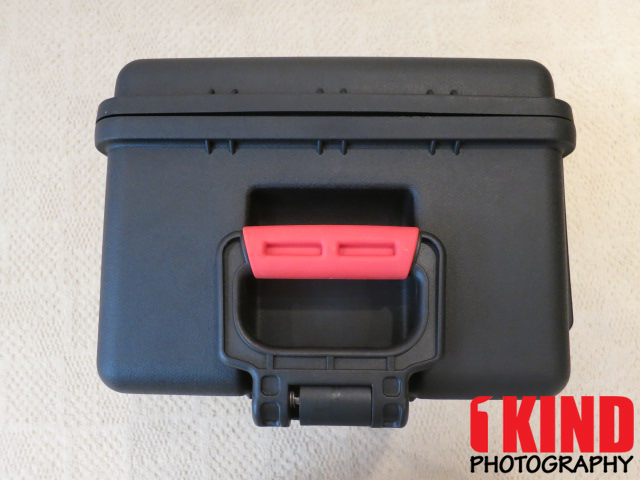 Once the hand grip is locked into place, you'll need to press on the red tab on the back of the case. By pressing this red button, this allows you to lift the handle up. 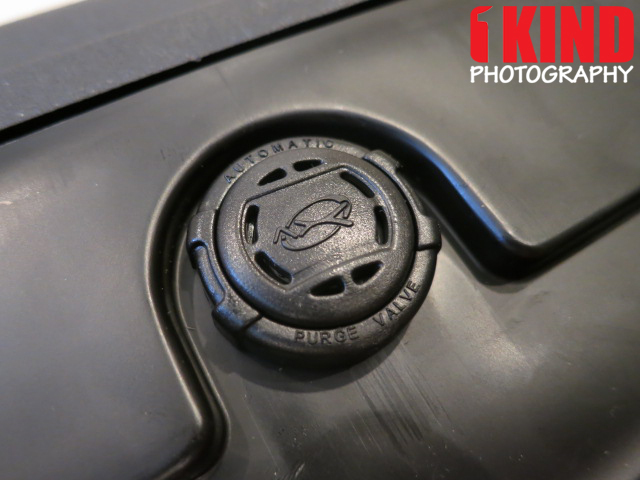 Like the Pelican cases, HPRC cases feature a purge valve. HPRC uses a AirEx which is a new automatic purge valve that is auto press release adjusted to changing environments automatically. It won't unscrew from the case, and the new valve works through a medical filter which permit the air exchange but protect from water, air, dust, sand, humidity in extreme conditions. The interior dimensions measures 20.08" x 11.22" x 7.83" and the external Dimensions measures 21.46" x 13.78" x 9.05". Plenty of space to store stuff without padding. 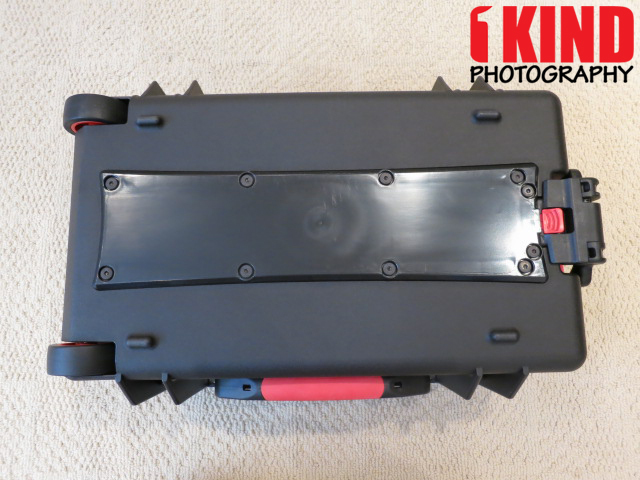 Below are two options on how to line the inside of the HPRC 2550W case; cubed foam and interior cordura divider bag. 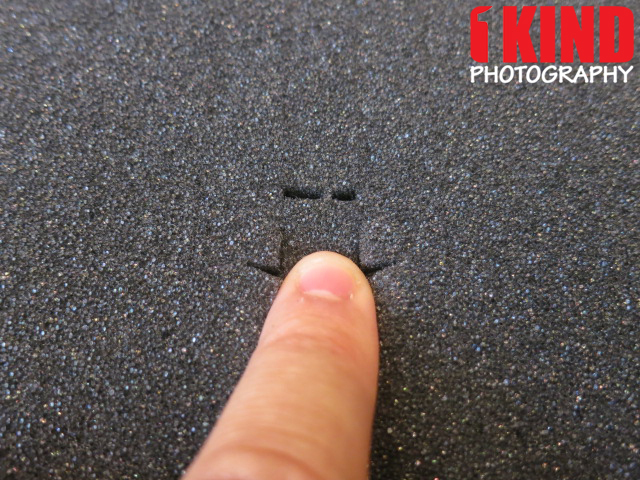 Cubed foam is also known as Pick-and-Pluck foam. 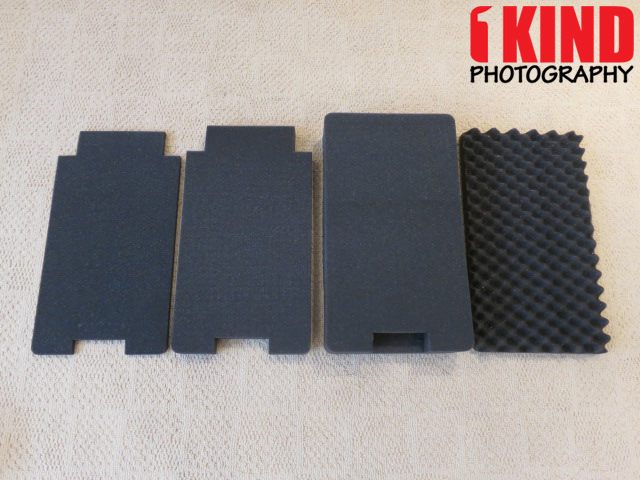 The cubed foam comes with 4 foams: cover, bottom, middle and top layer. The cover which looks like egg crate foam which protects the exposed item. 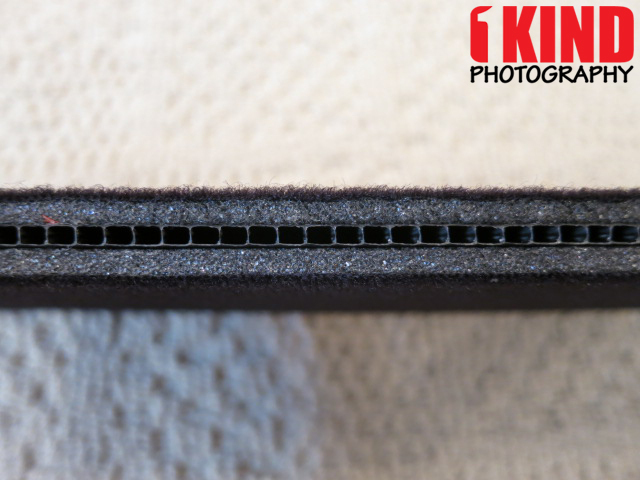 The bottom layer is nothing but a piece of foam that protects the inner bottom of the HPRC 2550W case. The middle and top layer can be plucked. It's just a matter of how big your gear is and how far down you needs to go. 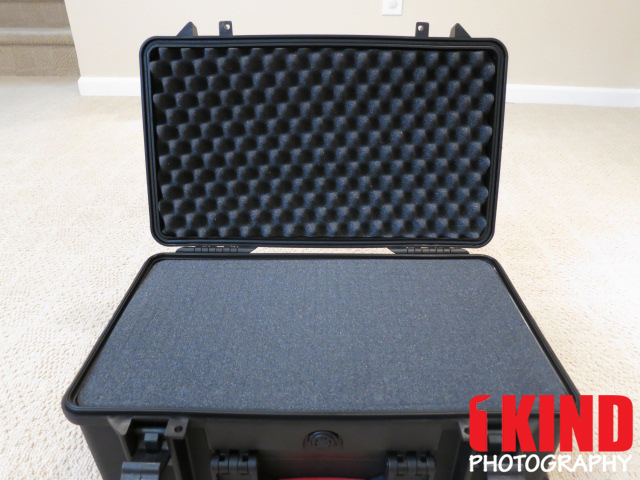 The cubed foam is offers great protection and ensures that your gear won't shift or move during transit. I don't like cubed foams because once the foam is plucked, there's no going back. So if you go from zoom lenses and decided to go all prime lenses, what you plucked out will be too big for the smaller lenses and will require you to buy new foam. So if you're the type that changes gears a lot, I suggest not going the foam route unless you don't mind buying new foam every time the foam is no longer reusable. If you're looking for something that can change along with your gear, I suggest getting dividers. 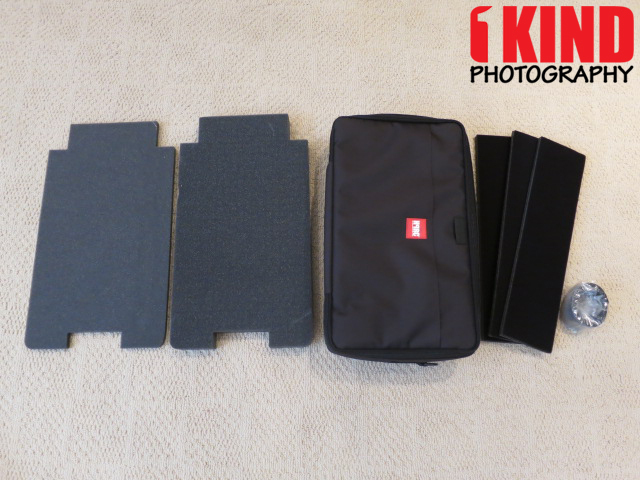 Included with the interior cordura bag is two foam, cordura bag, 3 dividers and a roll of velcro. The foam adds protection at the bottom of HPRC and also raises the bag higher. With the dividers, it will require you to cut them depending on where and how you want to use them. 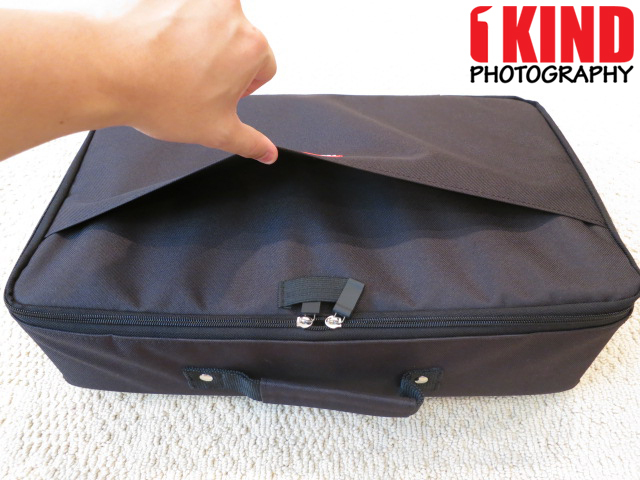 You'll also have to cut pieces of the velcro to make the dividers adhere to the bag (video below on how to do this). 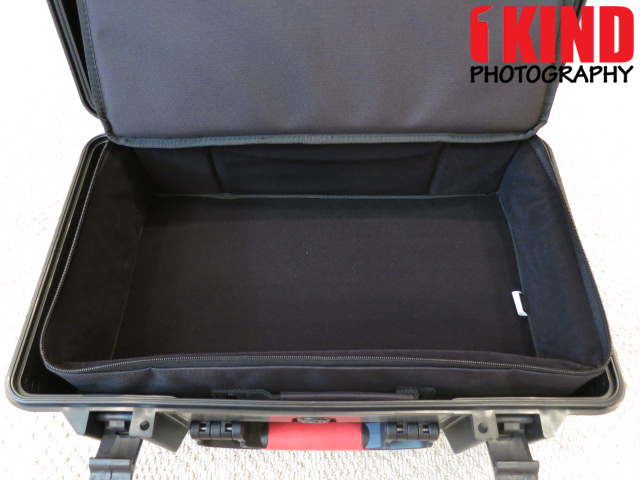 The cordura bag fits perfectly into the HPRC 2550W hard case. 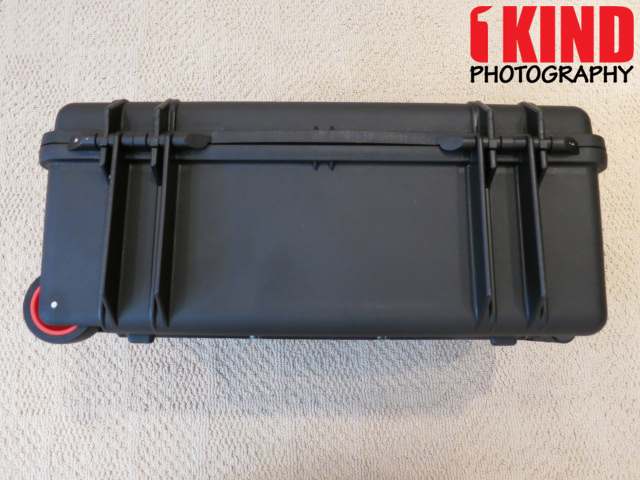 Since the bag has a cover flap, there is no need for the egg crate foam on the underside of the cover flap. Even if you wanted to use it, you can't because it won't close. 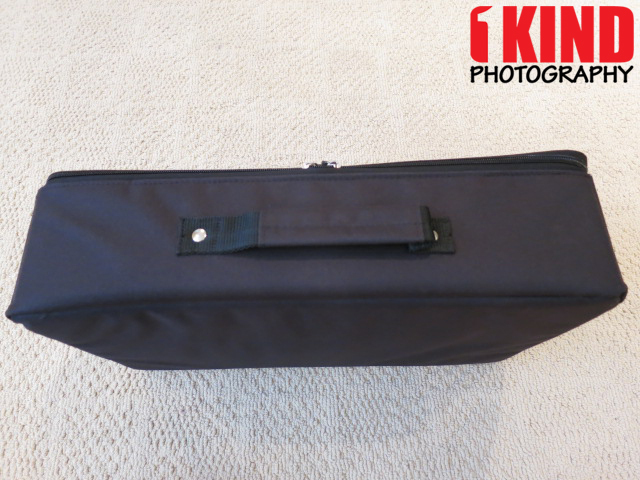 The bag is well constructed and durable. The zippers can be slipped into an elastic band to prevent it from flopping around. 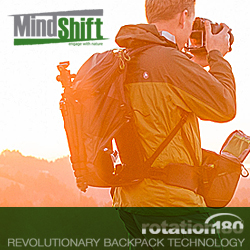 If you don't use the cordura bag with the 2550W case, you can use it separately. 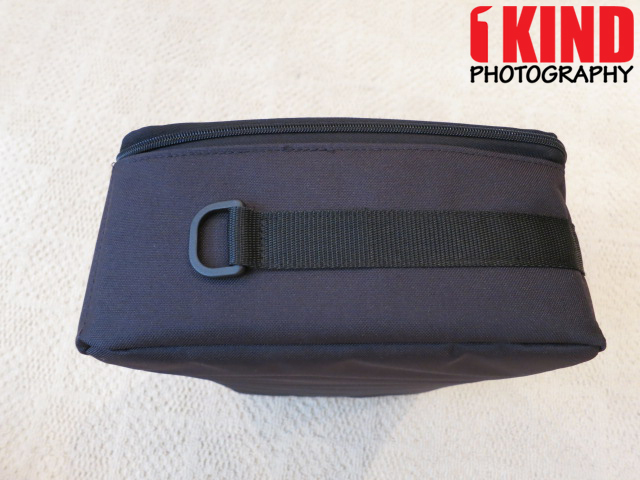 It has a handle and two plastic d-rings on each side to attach a shoulder strap. There's also a pocket on the bag to allow you to slip in papers, magazines or small nick-nacks like USB cables or memory cards. Below is an overview of the HPRC cases and tutorials on how to use the cubed foam and dividers. 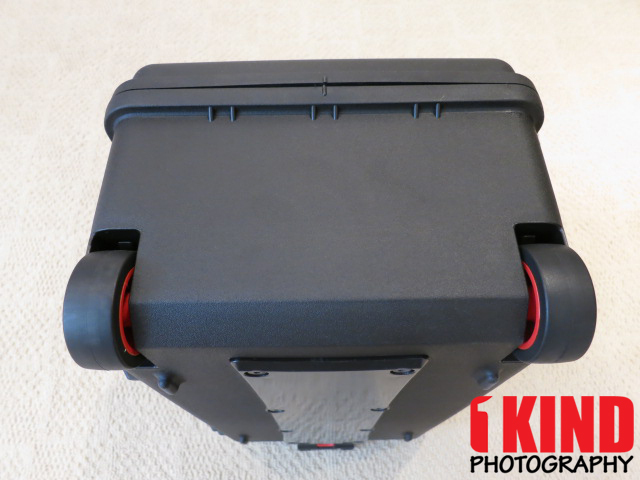 Conclusion : Overall, the Plaber HPRC 2550W Wheeled Hard Case with Cubed Foam and Interior Case is a great case for those looking for maximum protection. 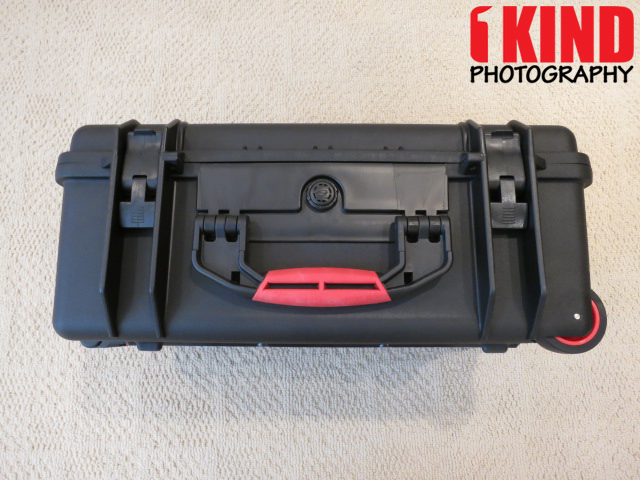 The quality and protection it provides is a great alternative to Pelican cases. The cubed foam offers maximum protection and minimal movement but can be a downfall if you swap gears often. The dividers offers the flexibility to change the layout along with your gear but requires you cut the length you want and the ability to customize your layout. However, if you make a mistake in measurement or need something different, you'll have to buy new dividers. What I love about these cases is that even if you don't have padding or need to protect anything, these are great to use just as storage with or without padding. I can use it as a storage for tools in the garage, storage for bedding or even storage for toys or food. There's so many possibilities.